Grieg Foundation contributed with 46 million NOK in 2018 to projects all over the world. From the start of the Foundation (2002), we contributed with 593 million NOK. We have the pleasure of presenting the annual report for Grieg Foundation 2018. 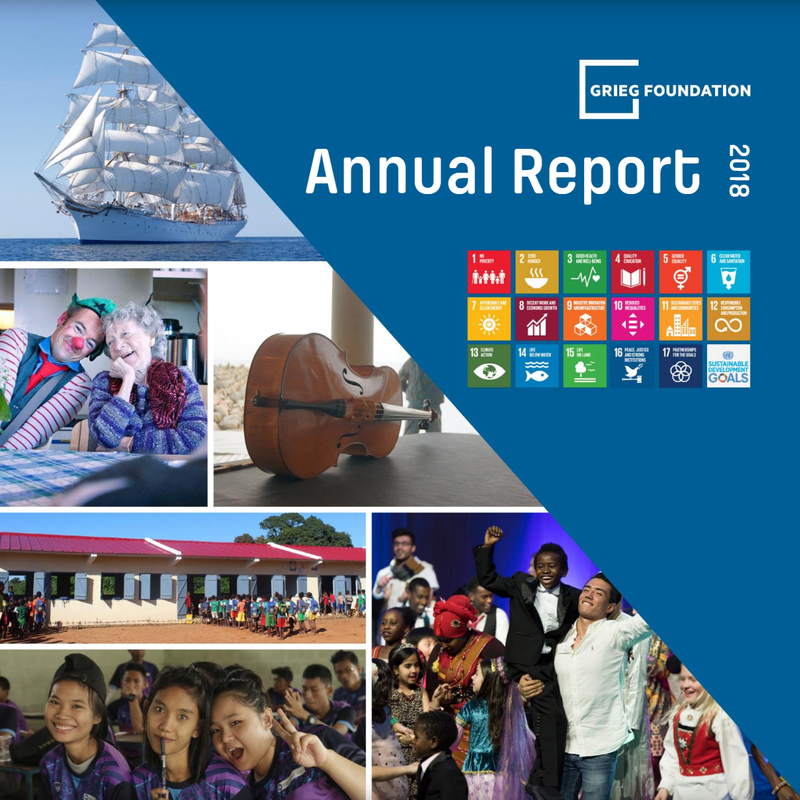 In this report we are focusing on the UN Sustainability Goals and our different contributions to projects within education, culture, gender equality, research and other projects. In 2018 we contributed to a long list of projects. You can read more about some of our biggest contributions in addition to our smaller, but important projects. Grieg Foundation receives its revenues from its 25% ownership of the Grieg Group. Thanks to all the hard work over the years from our employees in the Grieg Group companies, the Foundation is able to contribute and develop its charitable activities. The Board of Trustees sincerely express their gratitude to all our employees of the Grieg Group.